As you will be aware, negotiations with the Company in respect of the above pay review have been continuing and the latest revised offer has now been received. This matter has again been considered by the National Executive Committee, which has noted the unanimous views from the EPS Branch meeting last week that the offer was not acceptable and should be rejected without a referendum. The NEC has taken the decision to advise the company of our rejection of the offer and seek a further meeting with a view to an improved offer. A failure by the Company to table an acceptable offer which meets with members’ aspirations will result in a dispute situation and a ballot of affected members for industrial action. The Company has been advised of the above and I will of course keep you advised of all further developments. The proposed increase to pay reflects the business performance and challenges we discussed throughout our negotiations. • From 1st May 2018, an increase of 3.3% for basic pay and job related allowances will be applied to all relevant employees. We understand the desire of all trade unions to further enhance travel benefits for all employees. We are unable to secure any other benefits outside of the current package. 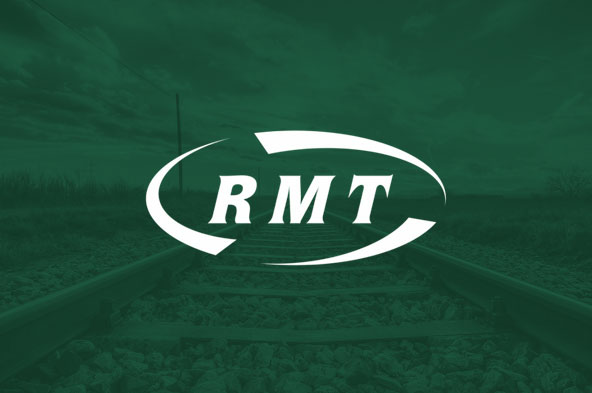 However, it is proposed that the current level of cash allowance (currently a maximum of £1419) be raised by 3.3% as from the 1st May 2018: We will continue to increase this allowance in line with the DfT stipulated annual TOC fares increase announced each January on an annual basis. The current calculation method for shift workers and part time employees remains in place. Additionally, we will work with the Company Council to review our travel benefits, looking at ways to provide more flexibility of benefits, e.g. daily ticket claims, monthly tickets with the aim of completing this review and options by end December 2018. The company council policy group will also review, where appropriate, other family friendly policies and recommend any potential changes to the Company Council. We welcome the trade union’s desire to work with EIL to drive to further improve diversity, inclusion and equality within the business and support us in reduction of our gender pay gap. We await the trade union’s proposals for representation on the EIL Diversity and Inclusion Committee to move this agenda forward at the earliest opportunity. All parties agree that anyone working within the Eurostar ‘family’ are treated with equal dignity and respect. Therefore we agree to formulate a charter, at the earliest opportunity, setting out a new basis for the status and treatment of contractor staff who work on the services that are intrinsic to the operation and support of customer service for EIL. The document will be in the form of a charter that sets out a group of standards for the way in which contractor staff are treated by EIL, their own direct employer and by all Eurostar colleagues. This charter agreement applies to all employees of contractors supplying intrinsic services to Eurostar International Limited at all sites and includes security, cleaning and catering services which form part of, or support the passenger and customer service of Eurostar. EIL and ASLEF are committed to a concentrated 2/3 day working group in June 2018 to explore potential business efficiency improvements and current driver’s terms and conditions, e.g. annualised hour rostering, recruitment, minimum leave quotas, etc. On completion of these discussions we will ensure that any proposals are debated at the Company Council to fully understand the impact on all employees. As from January 2019 all blue vouchers will be issued online, with no changes to current conditions. Employees will need to verify their dependents online. All parties are committed to maximise the development of our employees and the introduction of apprentices within EIL, outside of our traditional engineering roles. We will work collectively to review how we can utilise the apprenticeship levy to support employee development and EIL apprenticeships. The date for the next pay review will be 1st May 2020.